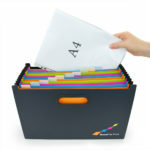 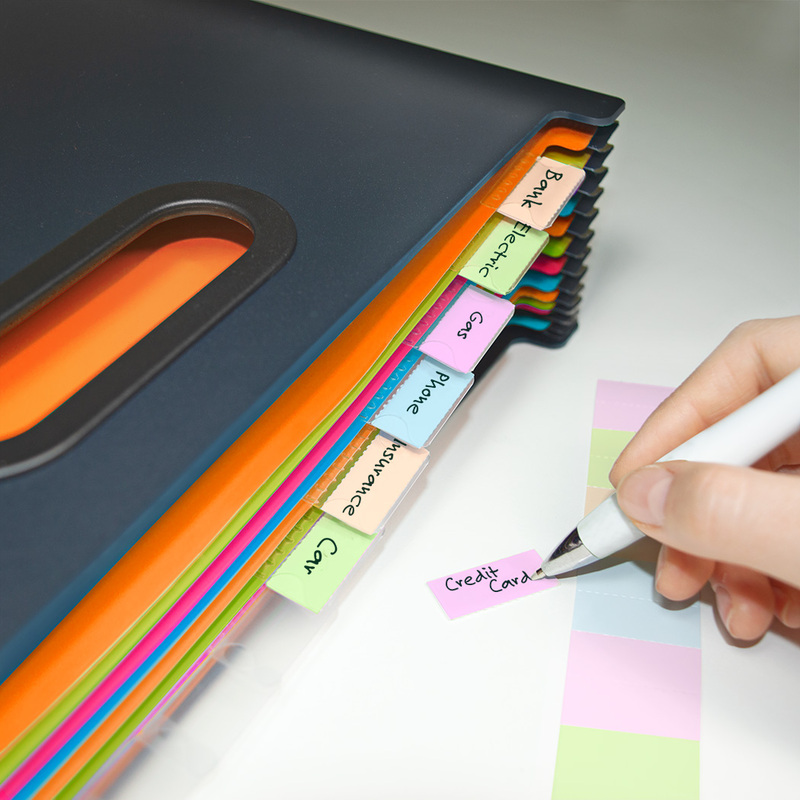 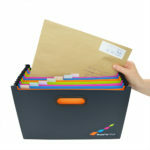 Complementing existing A4 SupaFile, the new SupaFile Plus offers even more storage space: accommodating envelopes and foolscap plastic wallets too. The sturdy storage system boasts 13 expanding sections with four brightly coloured designs. 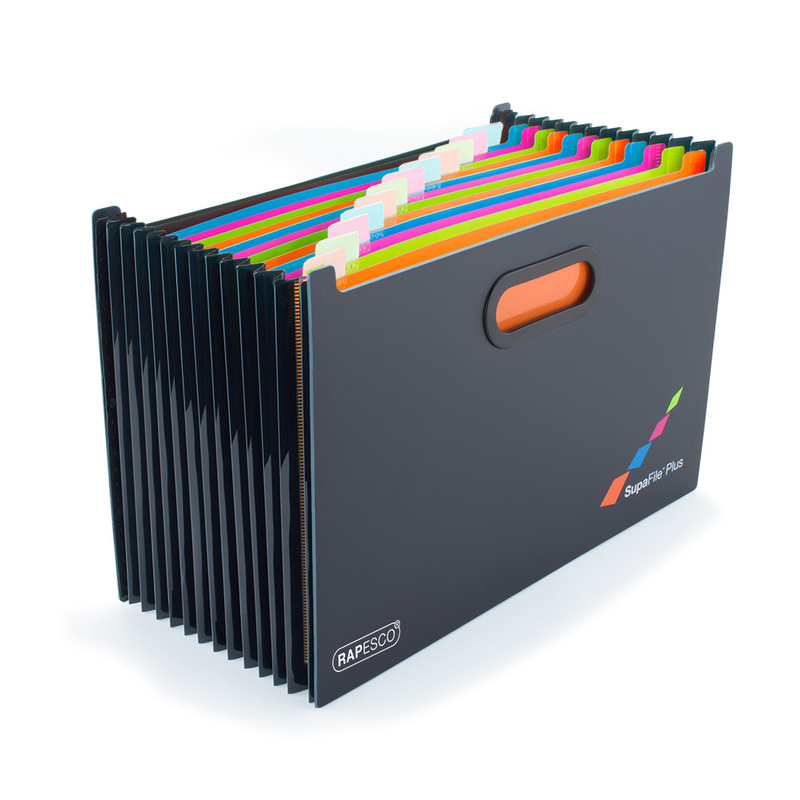 The SupaFile Plus also features personalisation tabs to help customise each section and the expanding frame is free standing, making it an ideal choice where storage is limited. 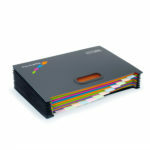 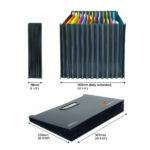 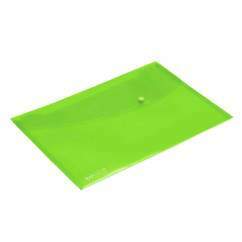 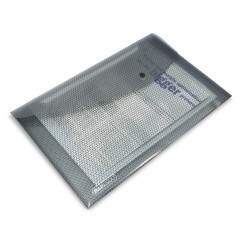 Larger than its predecessor, the new model fits foolscap plastic wallets and A4 envelopes for quick and easy storage. 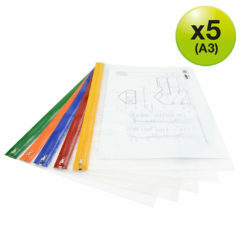 With its sturdy outer cover and cut out handles, the SupaFile Plus can be carried comfortably without risk of bending the contents. 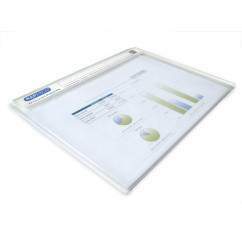 Ideal for arranging and categorising important documents, papers or revision notes, the SupaFile holds up to 1500 sheets of 80gsm paper (approximately 115 per section).